Finding alternate sites to write in is proving to help me to increase my writing productivity. While I have a studio set up in my home that is set aside for me to write and make jewelry in, there are times when the familiar surroundings lull me into the doldrums where little creativity happens. To counter this, I like to find locations outside my home to write in. Sometimes this place is simply my backyard patio, but other times I drive over to the local coffeehouse, treat myself to a fancy coffee and use one of their tables. Power outlets are often hard to come by when I’m out in the world, so I’ve designed a system that is as electric independent as possible. This includes my digital typewriter, the Alphasmart Neo, a paper bound thesaurus and a new Filofax journal to hold all my research notes, character sketches, outlines and word count charts. Everything fits into a large tote bag, so when the writing bug strikes me, I just pick up the bag and go. 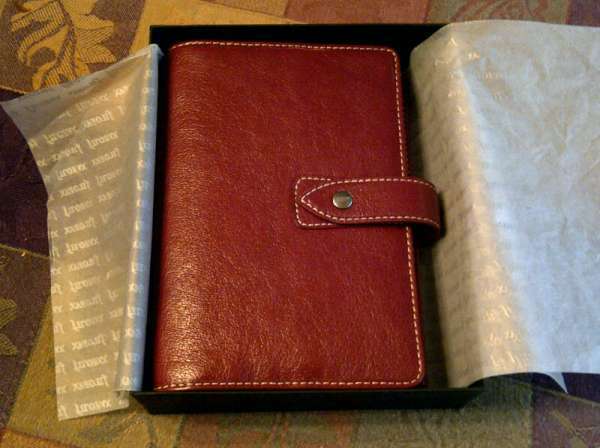 My writing journal is a Filofax Crimson Malden that my husband gifted to me for Christmas. The smooth leather, multiple pockets and sturdy rings will make for a rugged, yet elegant writing journal. Moving into the journal with my notes has been an adventure. The most difficult part was learning how to format the printing of my notes out of Scrivener in a meaningful way and of organizing them so that I can find what I need quickly as I write. The front part of my Filofax is quite ordinary. It holds a plastic pouch for odds and ends and a plastic divider with an inspirational poem. Behind that are various charts that came with the new Filofax, weights and measures, time zones and other general information that is good to have at your fingertips. The next section is a Month on two pages (MoTP) calendar that I use to track my writing output. Word count, what I was writing, how long I was writing and where I was writing are all tallied each day. This is a simple section that takes less than 10 seconds to notate at the end of the day. Next is a Week on Two Pages (WoTP) section where I keep the present month and the next month in the binder. There I jot down a writing todo list for each day and check if I finish the project or not. 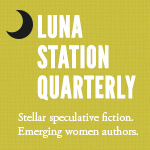 I also write down what posts are scheduled to appear on my writing website. The heart of my writing journal is the research notes section for my novels. Each novel gets a similar section in the writing journal. At the front of each section is an index of characters. Simply all the main characters in the novel. Each character’s full name, titles and other quick reference items are noted on one line per character. Behind the index is my novel outline. Each chapter has a paragraph devoted to what happens in it. A loose road map of what I need to write there.. Finally, behind that is a alphabetical divider system where I place all the character sketches, scene descriptions and maps and other related materials in alphabetical order. If I can’t remember a character’s name, I find it on the index. From there, I can find more related information on the character by flipping to its place in the alphabet. The research section of my notes is all printed from files I keep in my writing program, Scrivener. I’ve used Nellie’s Guide to Printing on Personal Sized Paper from Philofaxy to print on personal sized filofax paper to facilitate my notes. I end up with clean, professional looking, double side printed notes that are easy to read. 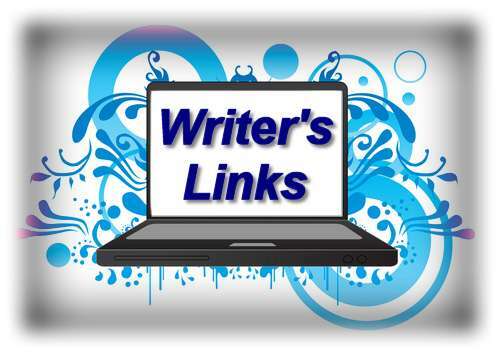 No Wasted Ink Writer’s Links! 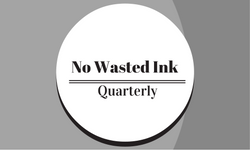 Monday is Link Day here at No Wasted Ink! The articles listed here are ones that I discovered in the past week and found interesting for writers. They are all from people that I follow either on twitter or read their blogs as a subscriber. What Do Publishing and Downton Abbey Have in Common? 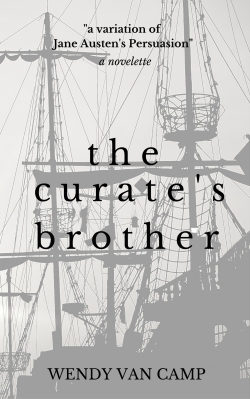 One weekend morning, I heard my husband banging in the tool box out in the garage as I was wrapping up a review of a story on one of my writing sites. “Where is my socket wrench?” he called to me across the house. I paused to think where the proper tool for the task might be. “Why don’t we use mine in the back of the SUV?” I replied to him. I closed the browser on my computer and started a search for my shoes. Aha! They were still under my computer desk. I slipped into my leather sketchers and tied the laces. “Wouldn’t it be easier to use the small wrench that I keep in my SUV?” I made my way down the hallway toward the garage. I heard strong language coming from the garage as I arrived. I looked at my husband who was holding a small wrench and its accompanying sockets. He looked irritated. “What’s wrong?” I asked. We walked outside to where my SUV was parked in the driveway. I noticed that my husband had taken the new bike rack out of its box and it was waiting there for installation upon the rear tire of our vehicle. He read the instructions on how to install it, but then confessed that he didn’t understand them. My husband has trouble thinking visually, so I looked at the illustration and at the bike rack myself. I lifted the rack and placed it on the tire. “I think that it goes on like this.” We both played with the contraption on the tire, discovering how the bolts moved and the straps might be placed. When strength was needed, I directed my husband where to pull the straps. When it came time to tighten the rack on my car, I took out the six inch adjustable wrench that I always leave in the back of the SUV for camping purposes and twisted the bolts to secure the rack as my husband watched. Before I finished, he took the wrench from me and made sure that the bolts were tight enough. “I hate these wrenches,” he muttered as he worked. I admired our handy work. “It doesn’t look bad at all,” I remarked. “Are you ready to go riding in the park with me tomorrow?” For me, riding a bicycle is a time of meditation, when I tap into ideas for new plots as the wind blows through my hair. Maybe it is the regular motion of the pedals, or the sense of freedom while zipping along the bike paths, but cycling is a true creative time for me. “Yes, I can’t wait!” He handed the little wrench back to me. I took the wrench and the bungee cords that went with the bike rack and put them into a little pocket on the back of my SUV. They would all remain there until needed again. I smiled at my husband. It was going to be fun to have a riding partner. 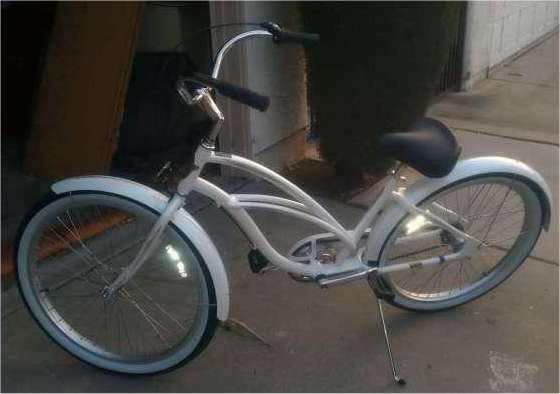 Bicycling is always more enjoyable when you have someone to join you. I’ve been noticing a curious habit in young writers that, quite frankly, baffles me. I call it paper-phobia. I first noticed it when someone asked for alternates of a word choice at a coffeehouse write-in. Trying to be helpful, I pulled out my soft cover pocket thesaurus and attempted to hand it to the writer. I was met with a puzzled stare. “What is that?” I was asked. “A thesaurus,” I replied casually, expecting a thank you. Instead, the young woman exchanged amused glances with two other college aged writers in the group. She did not take the book. A second writer quipped, “Go to dictionary.com.” The first writer nodded and started to type quickly on her laptop. I sat there dumbfounded with my book in hand. I’ve used the search engine thesaurus before, but I’ve always found it to have fewer choices than the book bound version and since it is a search engine, you lose the added benefit of seeing other words near your choice, which often sparks other ideas. Not to mention, many times the wifi connection at coffeehouses are not the best and tends to drop out at the most inopportune time. I attempted to explain this to the young writer, knowing that the book was better, but I was met with resistance and amusement. I ended up tucking my book back into my book bag and returning to my writing. Other incidents occurred. A writer would not take a referral from me because I had put it on my phone. It did not occur to her to write the information on a piece of paper. I even provided the paper and pen and she would not write it down. Another time, I was mocked at a write-in for bringing my outline on a sheet of paper instead of putting it on my phone and calling it up electronically. When I decided to be “modern” and put my notes on my ipod touch, I found that I could not access the information at a write-in and ended up losing more than one evening of work because the outline was not accessible. At a writer’s critique group I once belonged to, all of the writers read their stories off of laptops. When someone brought their story on a sheet of paper, they were looked down upon. I listened to other writers complain about how their laptops were constantly breaking down or worse, losing all their data because they had forgotten to back it up on a thumb drive. Finally, while at the post office, I spoke about an article that I had published while waiting to mail my package. The young woman I was talking to returned to me after concluding her business the with clerk and asked for the name of the magazine. I told her the name of the online publication, but said that I didn’t have the link available to write it down for her. She shrugged, “Oh, I’ll just google it,” she smiled and walked away. Now, while I’m glad to have a new reader for the magazine, I was baffled how she would find it since it had a common name. Yet, this young woman seemed confident that it would not be a problem. This got me to thinking, when had people stopped using paper? Why was it considered old-fashioned to the point of embarrassment? I don’t view these young people as evil or even that their use of technology is wrong, but I don’t believe that cutting away everything from the past is right either. I started to view my own movement away from paper with a new eye. In college, I used a paper planner to keep track of my schedule. All my class notes were written in notebooks, and most of my term papers and stories were typed on typewriters. White-out was my friend! If I published a story, it was to a limited print edition in a bound book or printed magazine. Gradually over the years my calender moved to my computer and synced with my phone, most of my writing was done on a computer and published on-line. 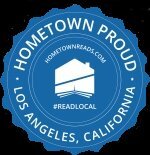 My personal books went from scores of paperback novels to ebooks on my reader. My notes and recipes for cooking all became digital memos that I moved from one device to another via wifi. My paper organizer got lost in a box somewhere. Technology is not a bad thing. In some ways the new methods of transferring and retaining information are superior to what went on before. However, I am becoming of a mind that losing the old ways of doing things is not necessarily a good thing. I’ve been taking a long look at what is needed to be a modern writer and I’ve concluded that it is a mixture of the old and the new. My New Year’s Resolution to this end is to re-introduce paper into my life. I have purchased a new filofax organizer. In it will be all the notes, outlines and character sketches that I use as I work on my novels. I have set up a tracking system to write down each day my approximate word count, where I was writing and what I was writing. The act of putting it down on paper and seeing the marks when I open up the organizer helps to keep me on track. I will no longer be at the mercy of a wifi connection, a battery or a phone app when I wish to write in a coffeehouse, on my patio or at the park. I am looking forward to the day when not only will I come prepared with a paper bound thesaurus to my write-in, but all my research information will be written down on paper as well. That, combined with my Alphasmart Neo will make my writing desk truly portable and independent. Paper-phobes….beware!!! I am on a mission! Getting out of my studio to write is one of the best ways I have to break writer’s block. Finding a new location that is free of the daily distractions that I find at home fosters a higher word count and writing productivity. When I am working on a rough draft, there is nothing I enjoy better than sneaking off to the local coffeehouse to enjoy a cup of coffee and to write for a few hours. I am a convert to using an Alphasmart Neo for my drafting hardware. The machine is lightweight, coming in at around 2 pounds and is extremely sturdy. Originally, the machines were designed to be used in classrooms for students to practice their typing and writing and therefore can withstand a great deal of abuse. 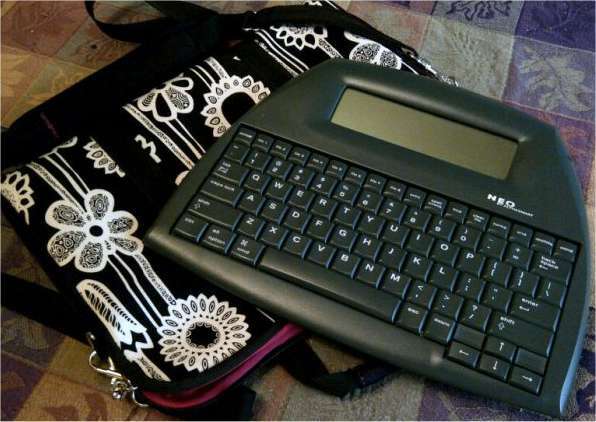 They are still used in the classroom today, but the Alphasmart Neo has also found a favored place among professional writers. The Neo’s main advantage is that it offers distraction free writing. 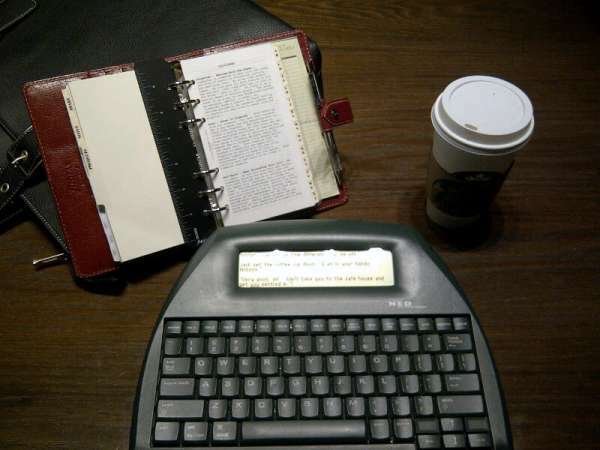 With no internet connection on this device, there is nothing to get between you and the written word. The Neo has a rudimentary word processor that allows you to see only 8 or 9 lines at a time. It is supplemented by a dictionary, a thesaurus and a word count feature. The machine instantly switches on or off at the touch of a button and it runs for 700 hours on 3 AA batteries. To power my machine, I put in fresh batteries once a year and never think about finding power for my Neo again. It is a real pleasure to not have to worry if there is an available outlet at the coffeehouse or to take my Neo to the park and write outside if I choose. The Neo battery life sets you free. Getting the text out of the Neo is simple. You can use the Neo Manager software to upload or download files or use a cable to send your data to any word processor you happen to have open. You could send directly to an email file, to your blog post manager or any open word processor. The Alphasmart Neo is my drafting machine of choice. Which machine do you use?